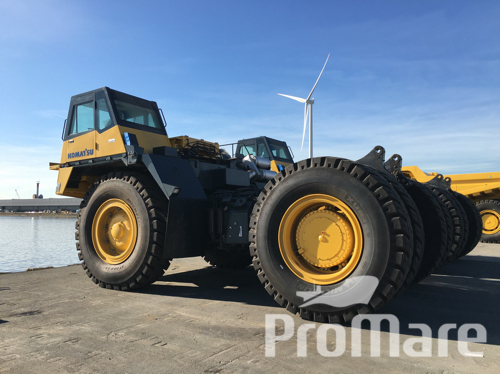 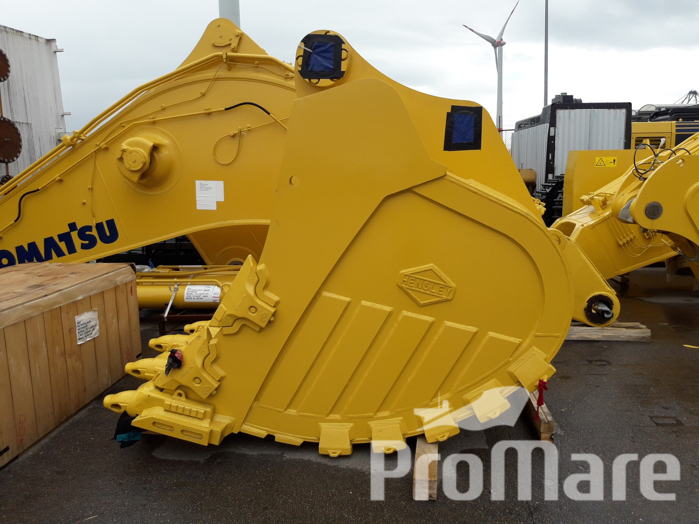 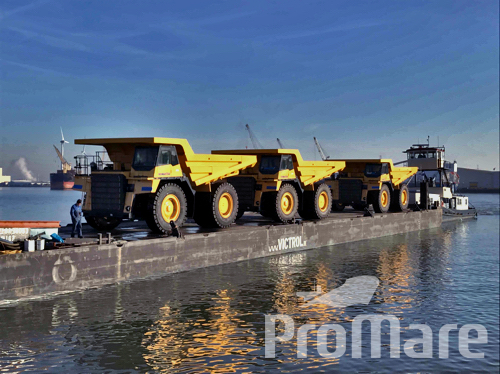 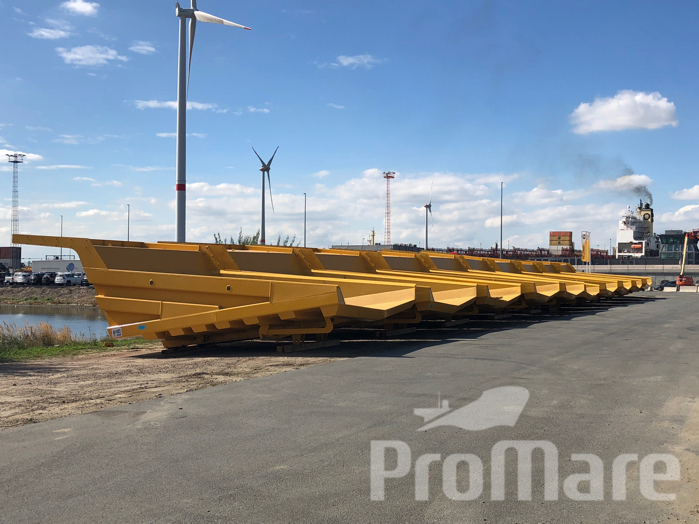 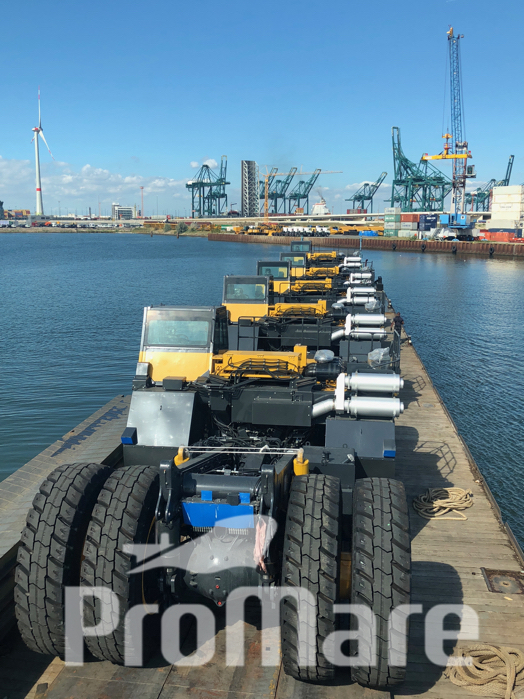 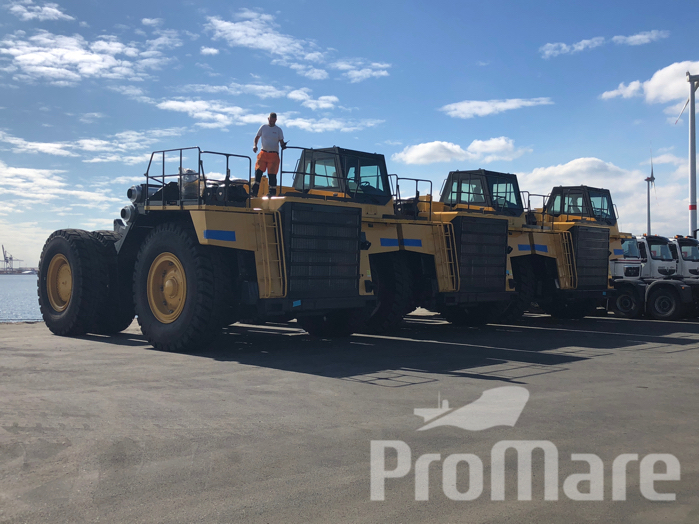 Komatsu HD785 : presently 15 x units in Stock @ Antwerp !! 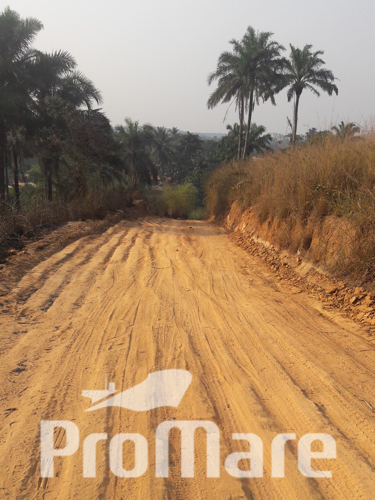 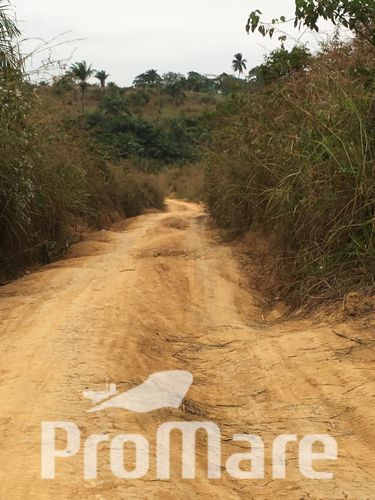 The last part of the road (approx. 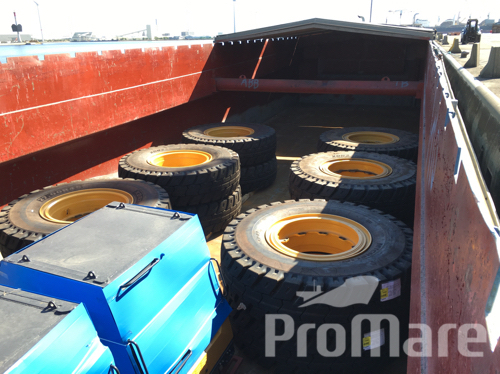 35 km) had to be renewed, to be able to transport the Trafos safely. 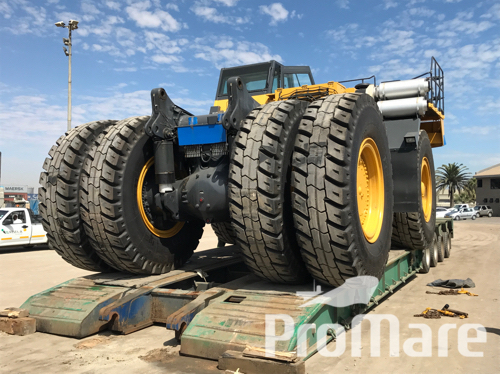 About 2 weeks of work with Dozer, Grader, local handcraft..
Again, a Challenging Project that we brought to a safe and satisfactory end.. 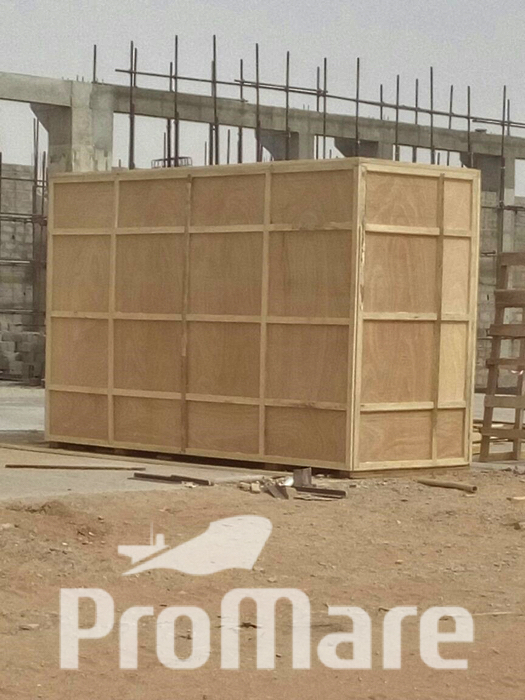 Challenging projet, with lots of difficulties and obstacles, but managed.. ! 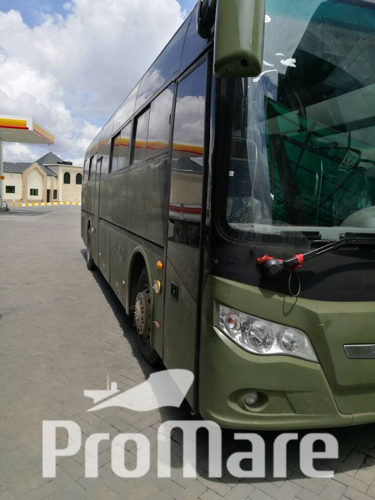 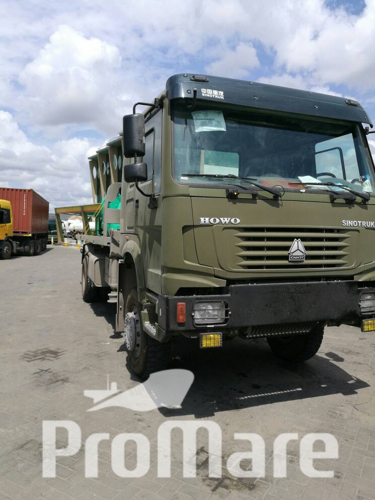 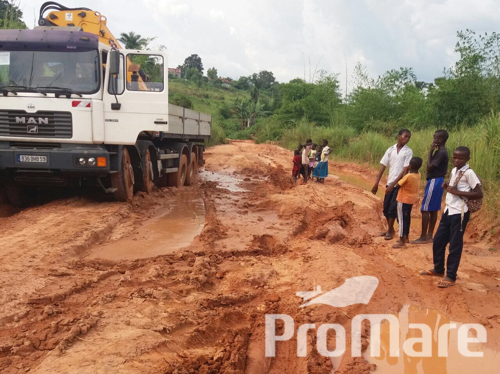 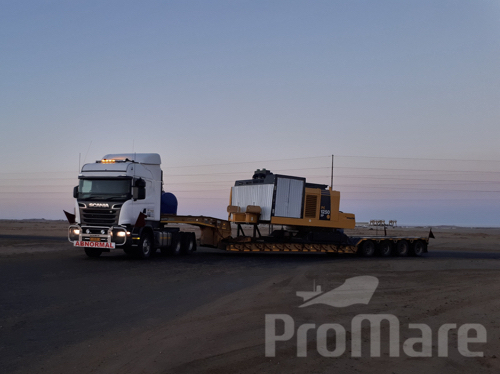 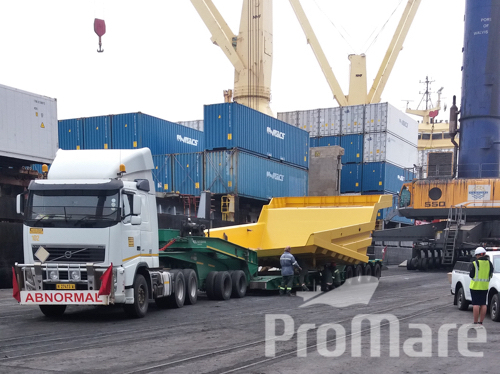 Personal follow-up of the whole project at Antwerp, Walvisbay, Lubumbashi and Kinsevere..
Road transport with several difficulties.. 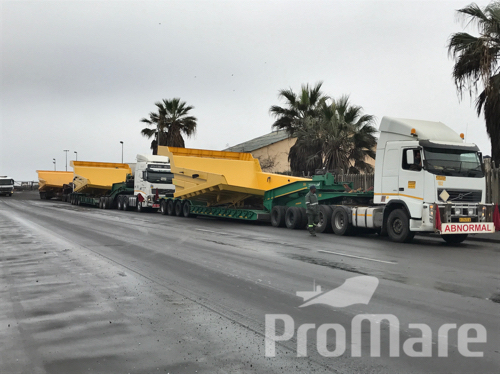 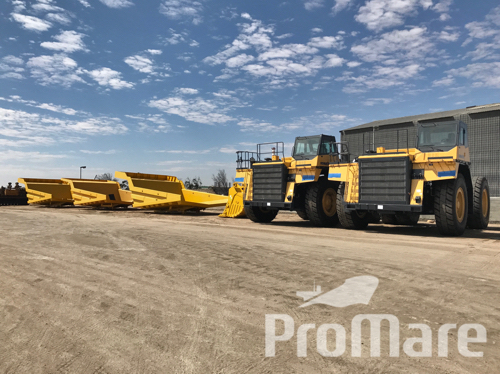 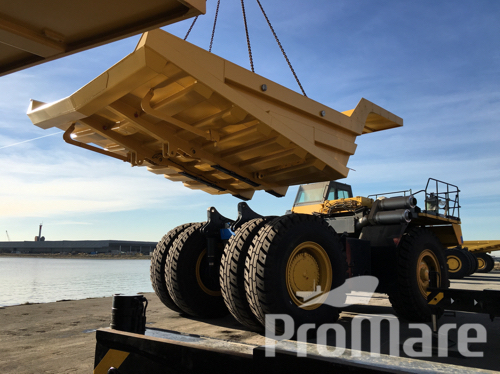 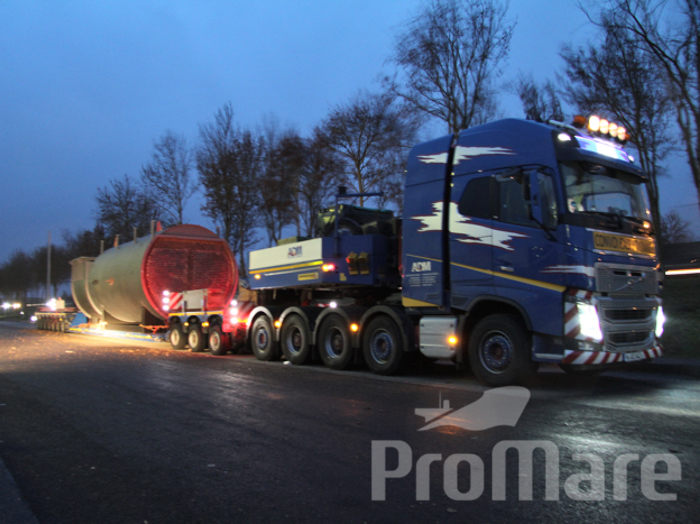 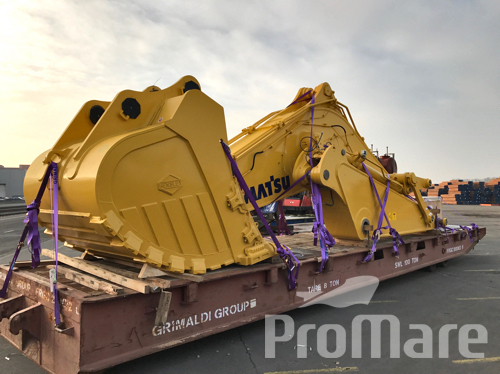 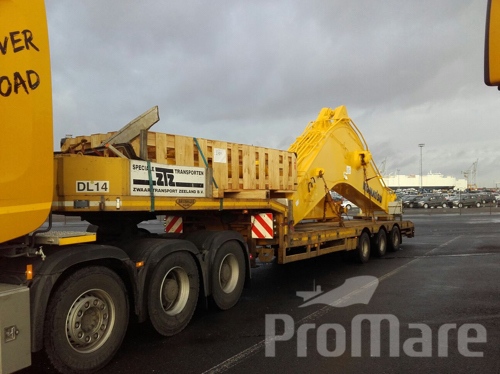 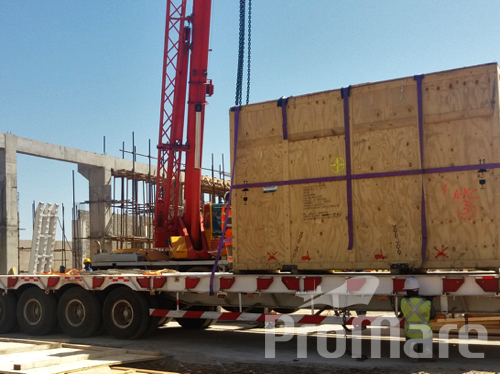 Reception, Transport and Storage of 1 x Komatsu PC1250 Excavator + Bucket. 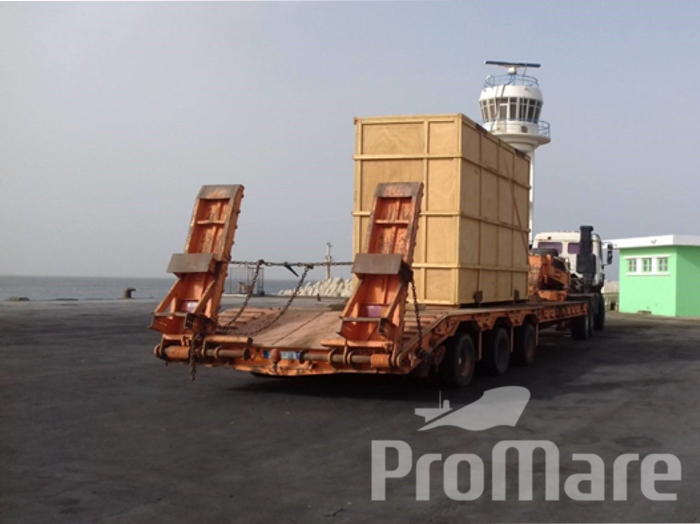 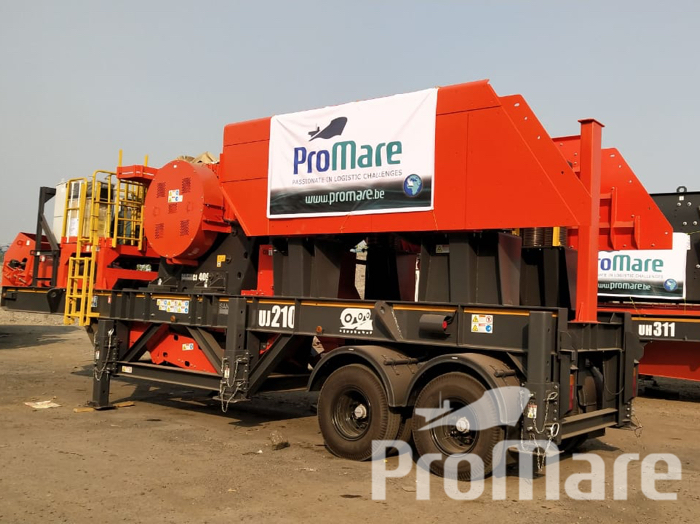 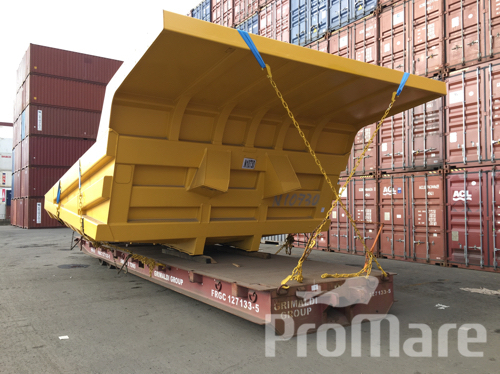 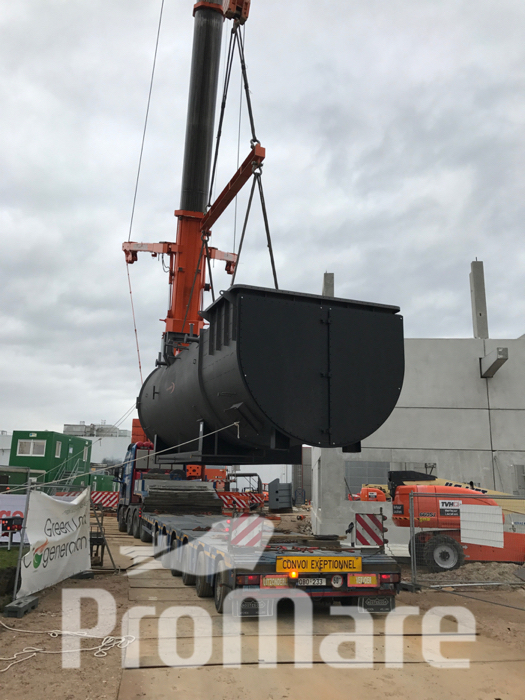 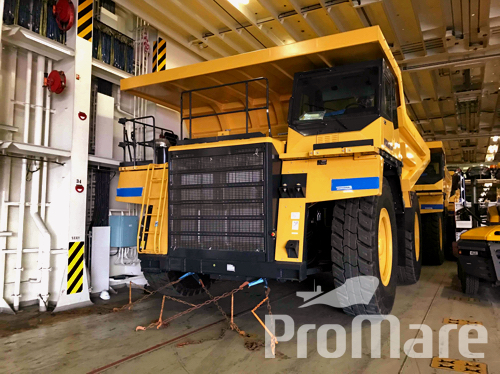 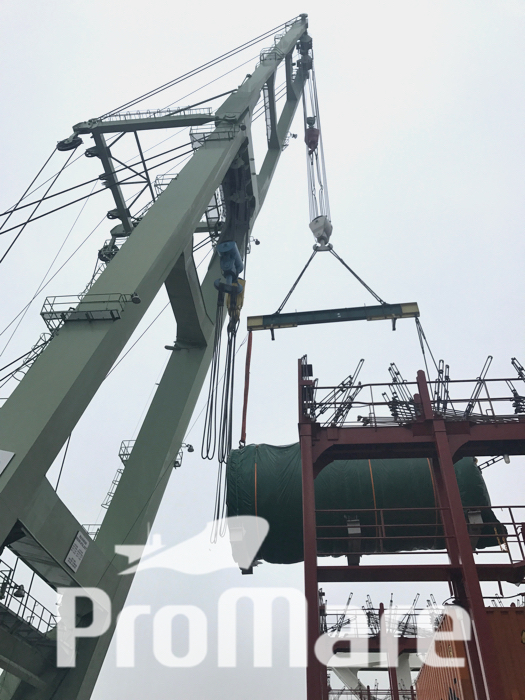 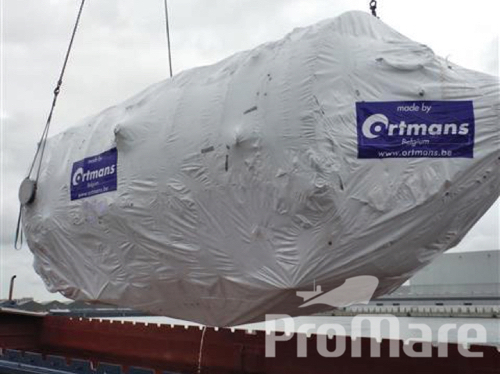 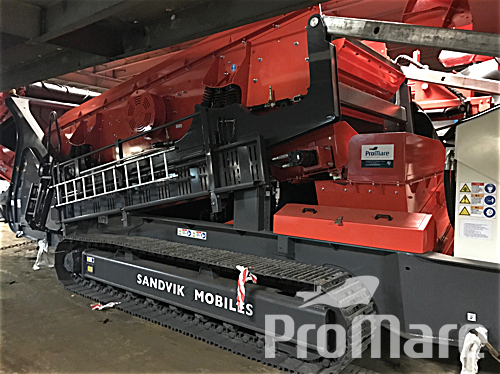 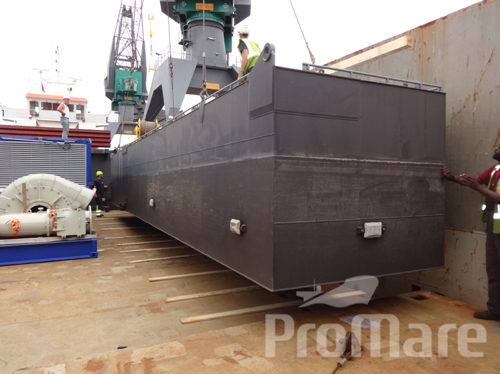 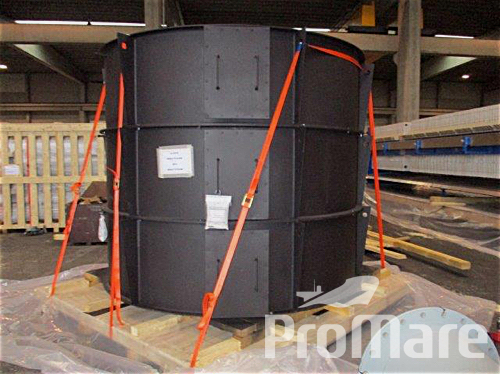 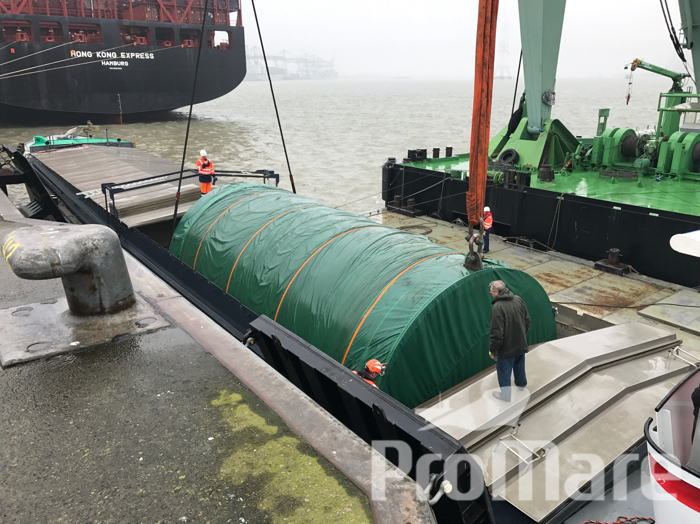 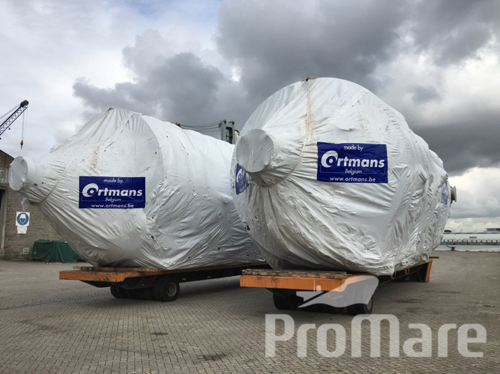 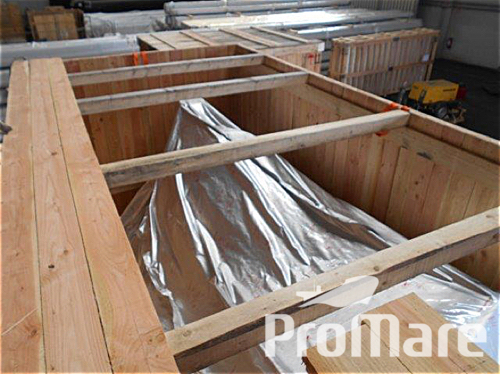 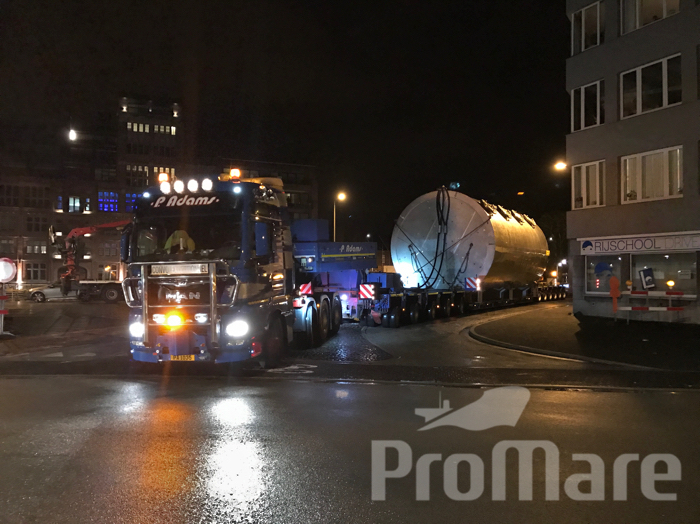 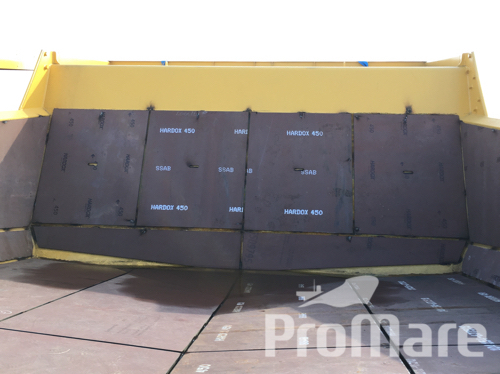 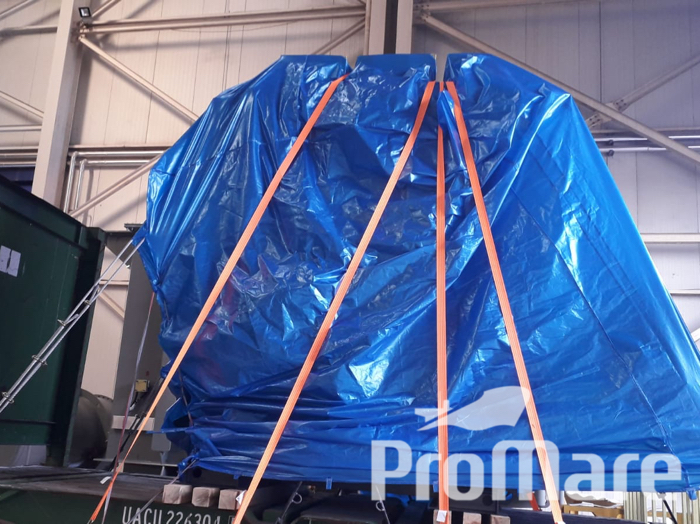 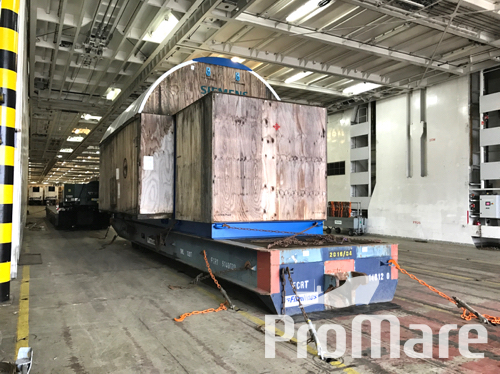 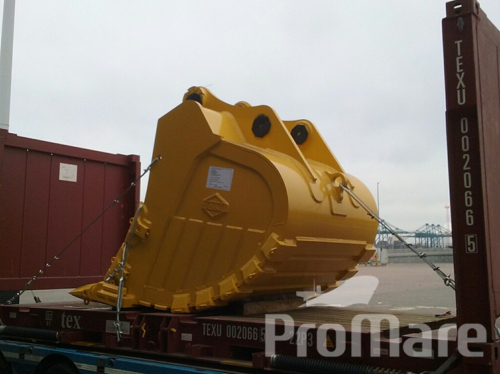 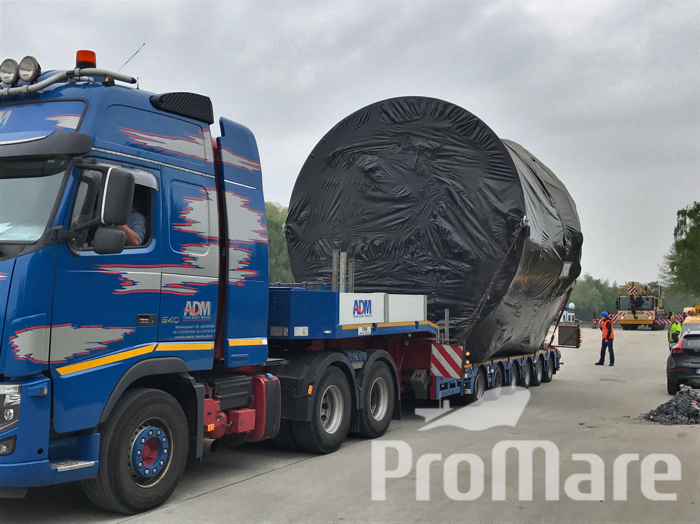 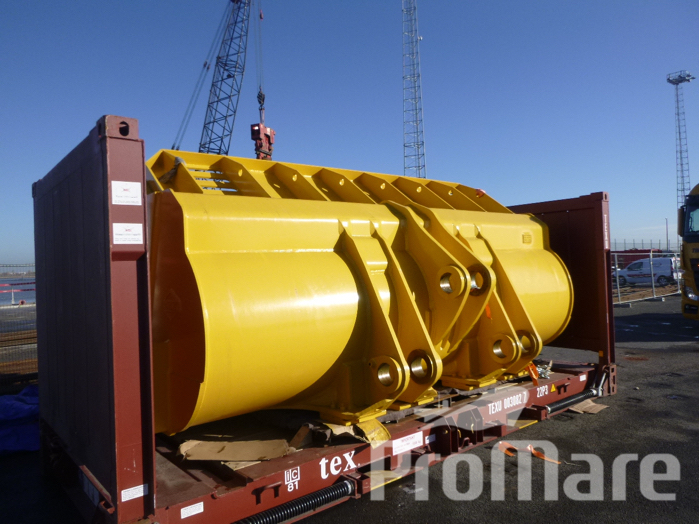 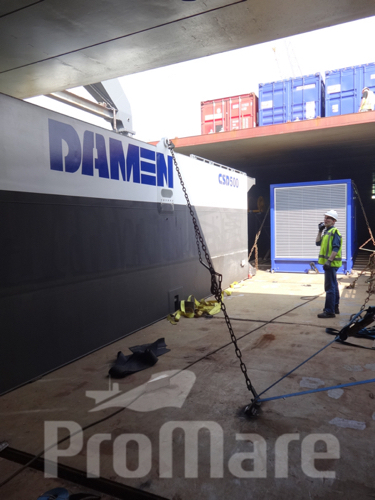 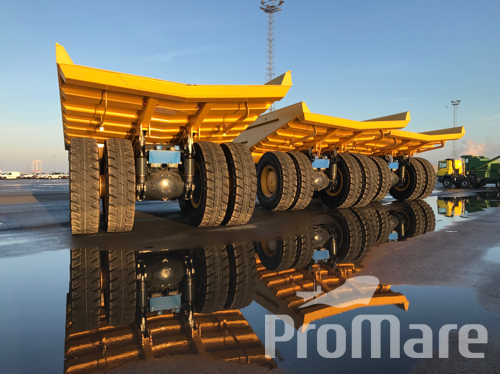 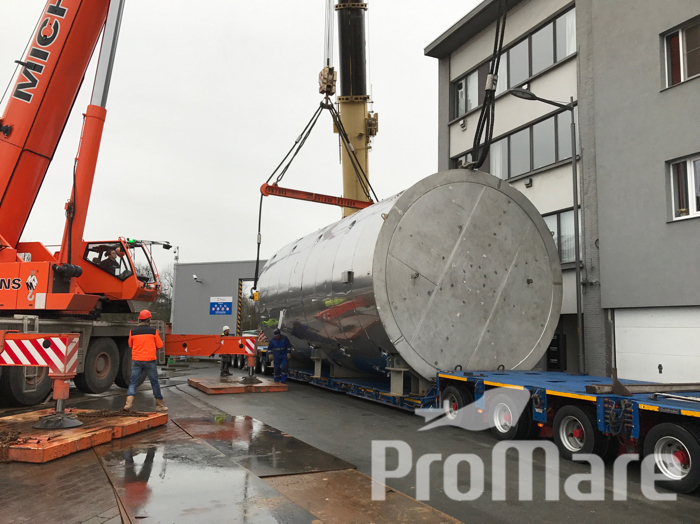 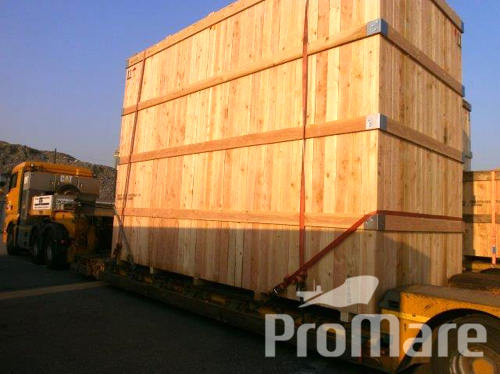 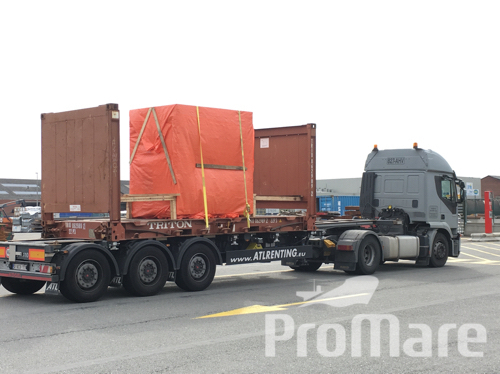 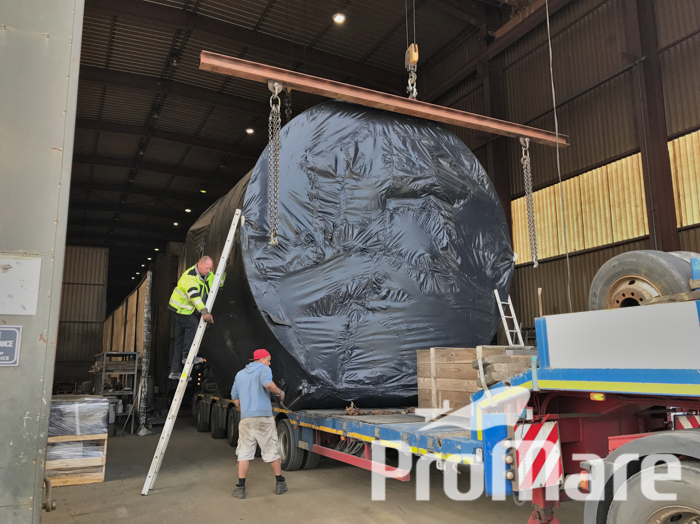 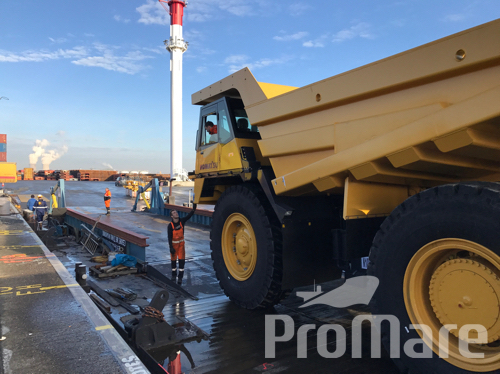 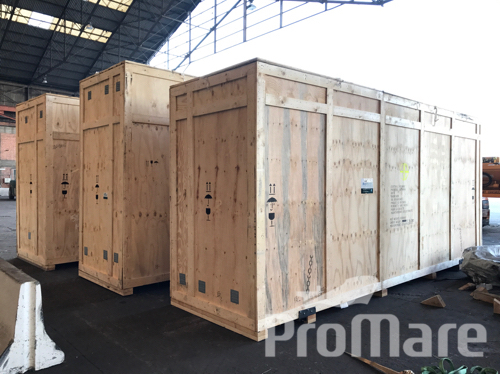 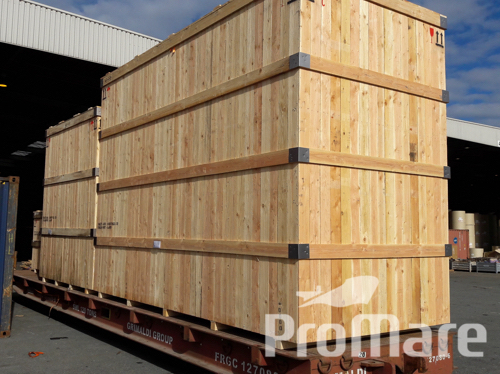 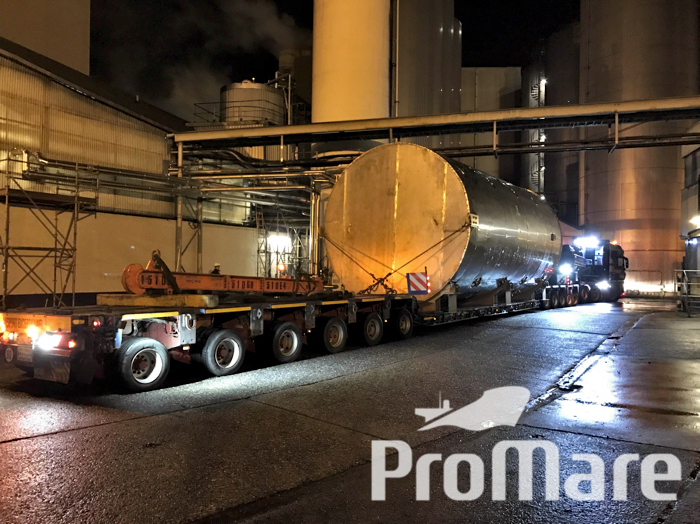 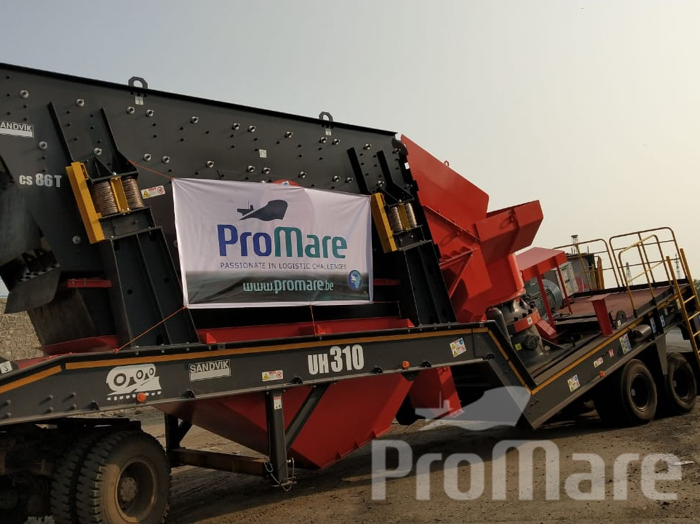 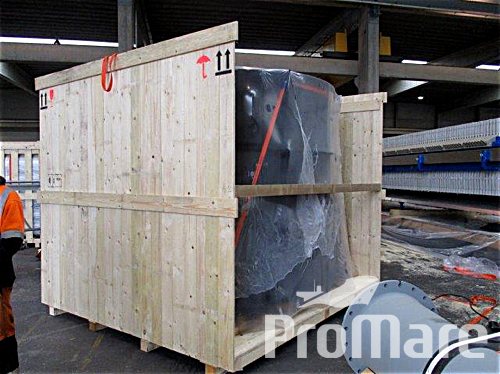 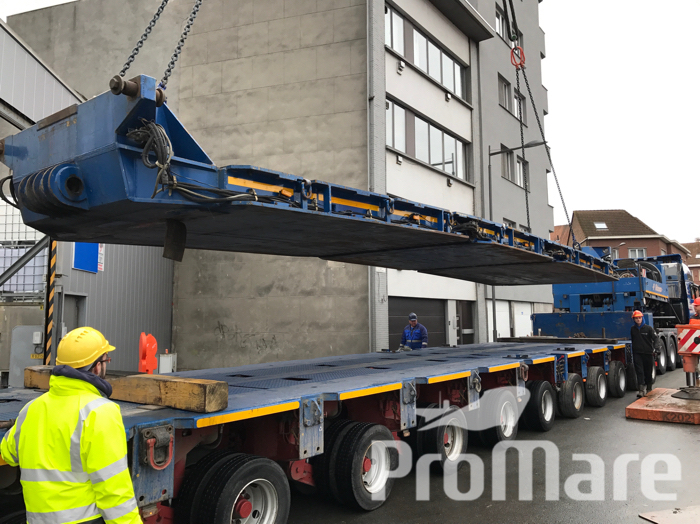 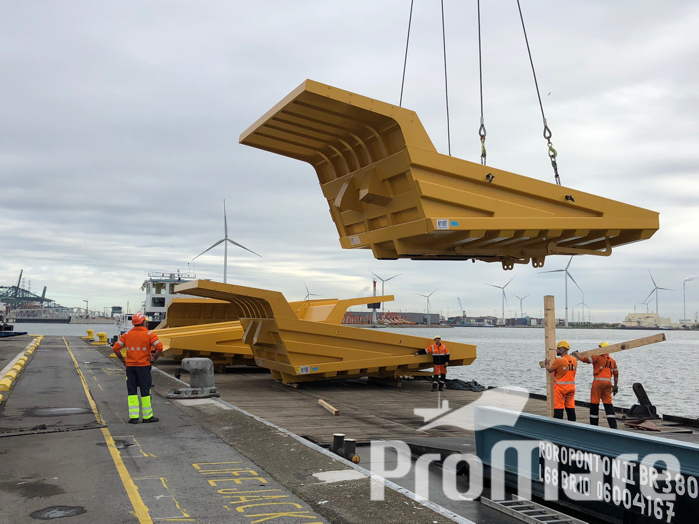 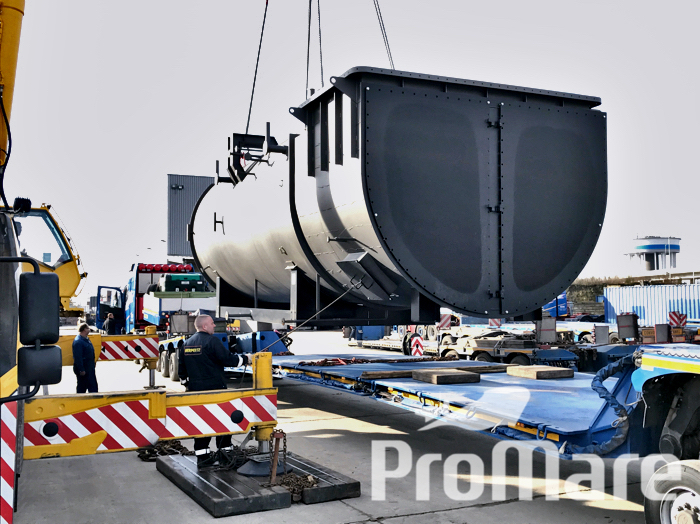 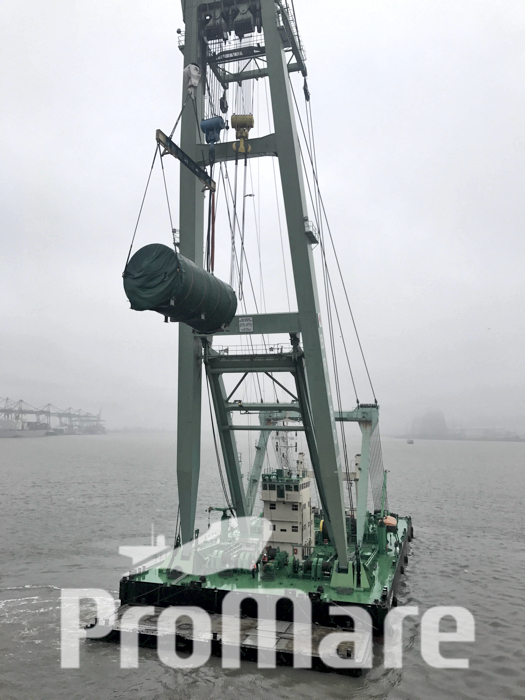 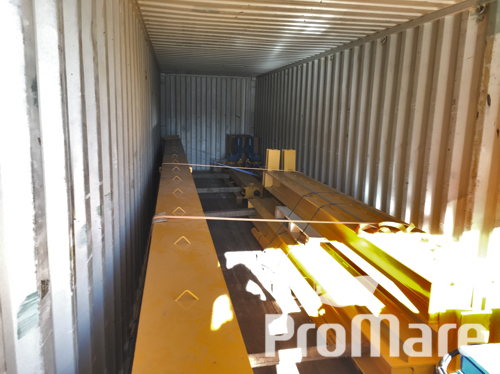 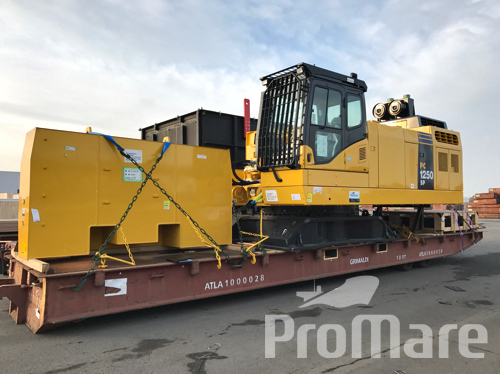 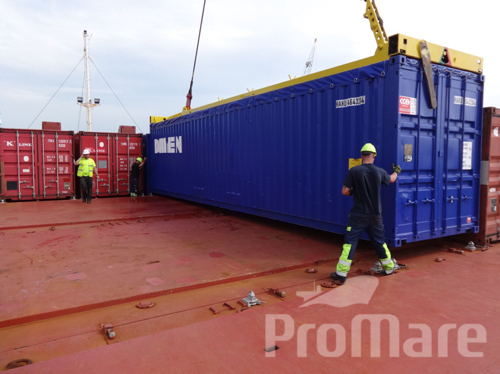 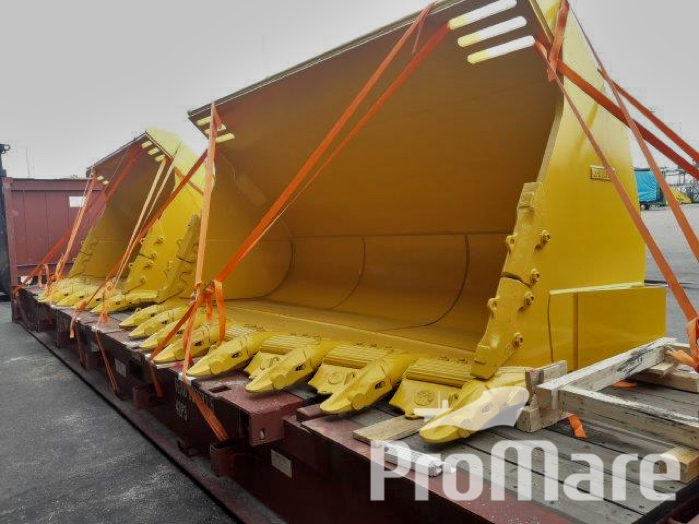 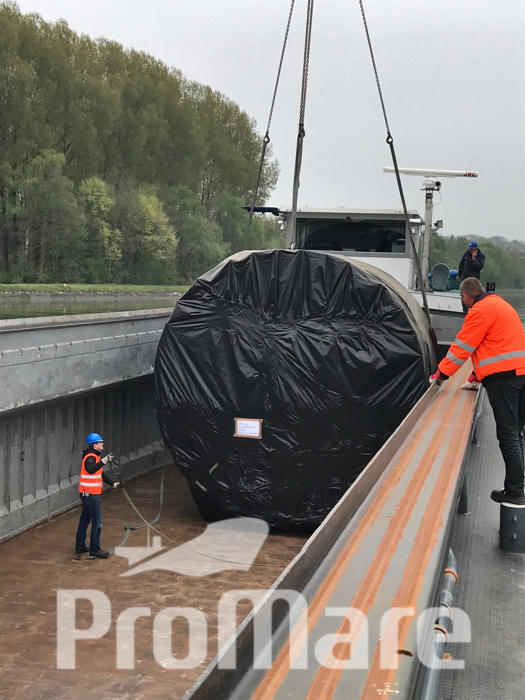 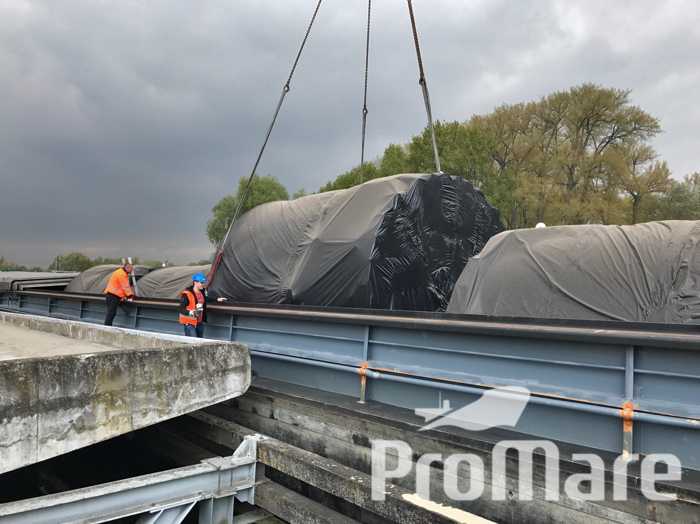 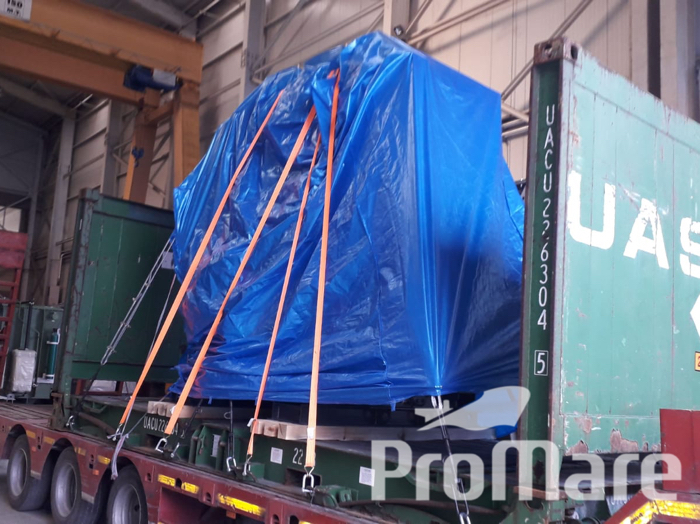 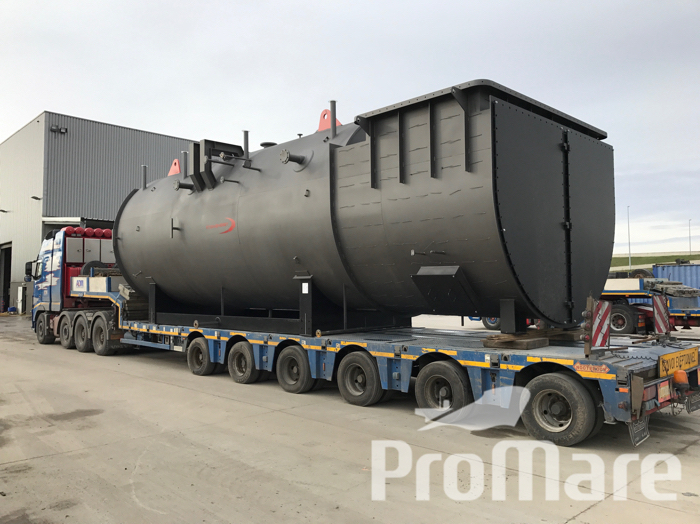 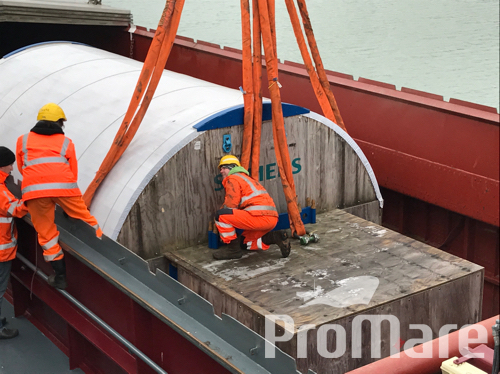 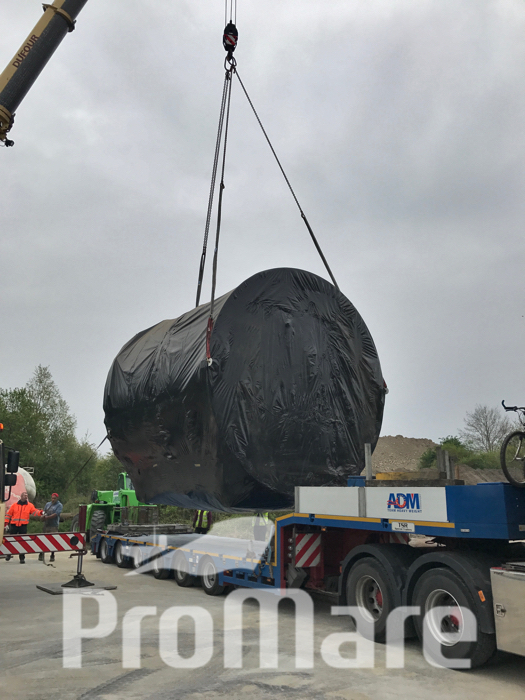 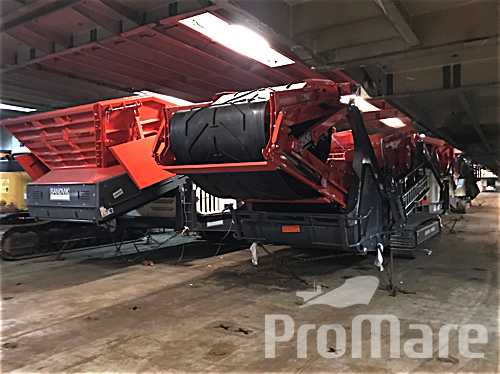 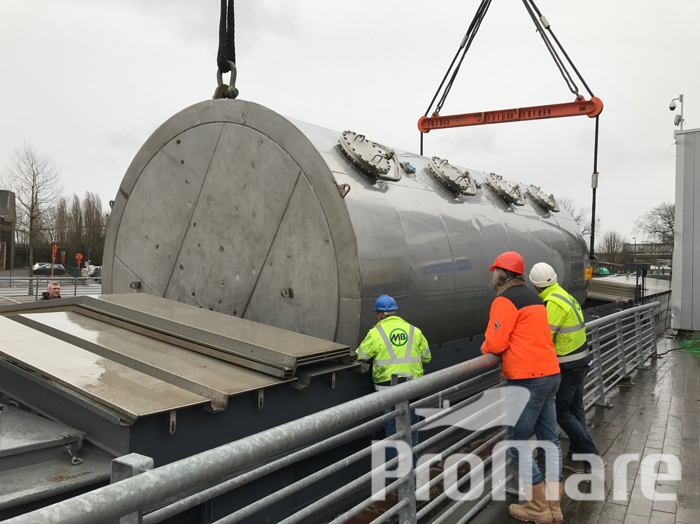 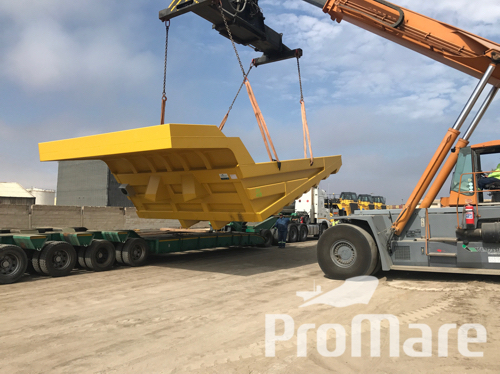 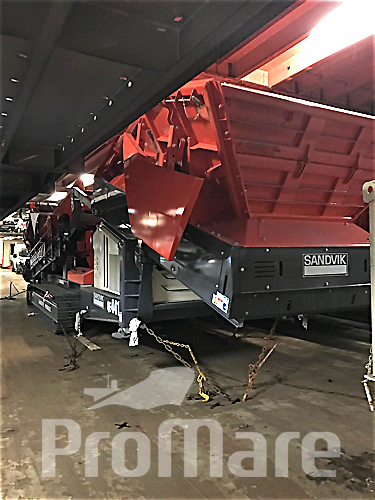 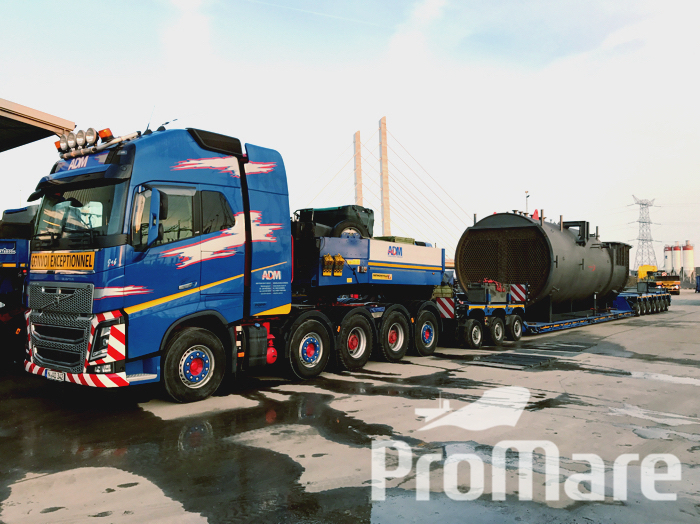 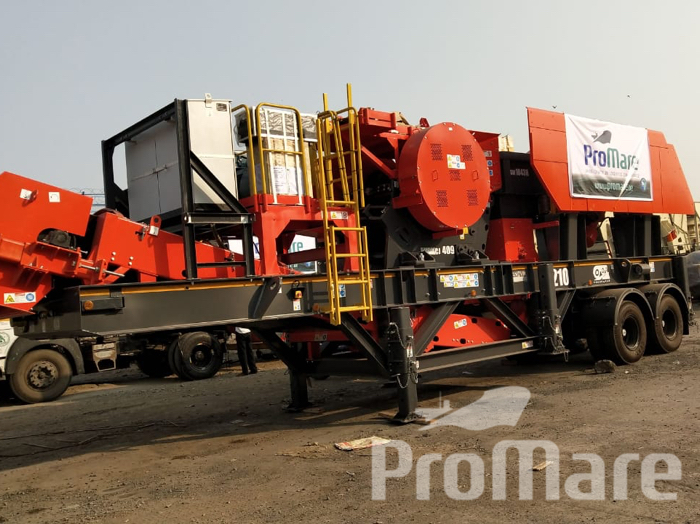 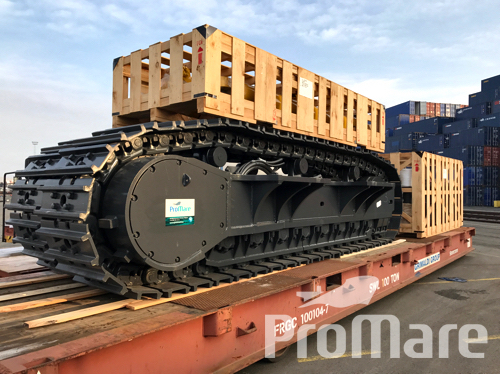 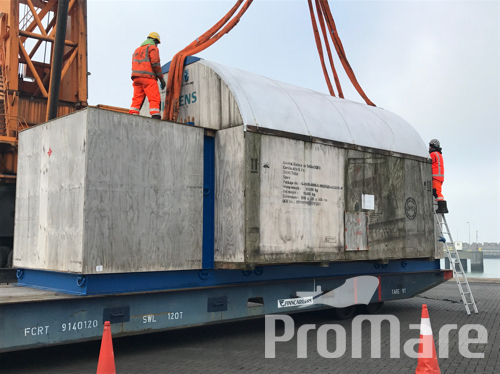 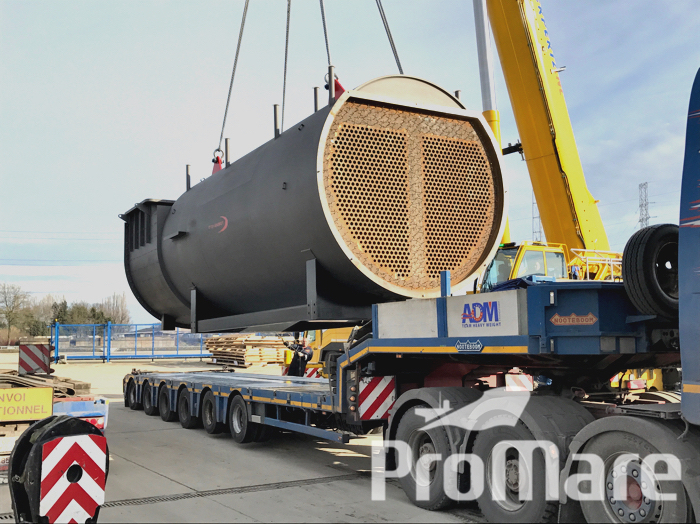 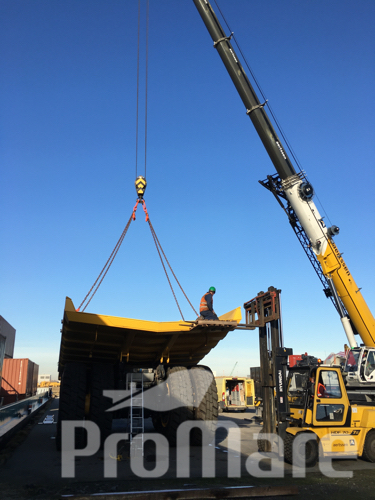 The Bucket has been loaded inland at supplier's site in Indonesia, and has been shipped to Antwerp for storage together with the main unit. 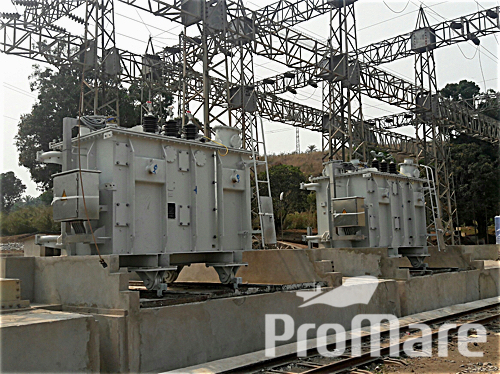 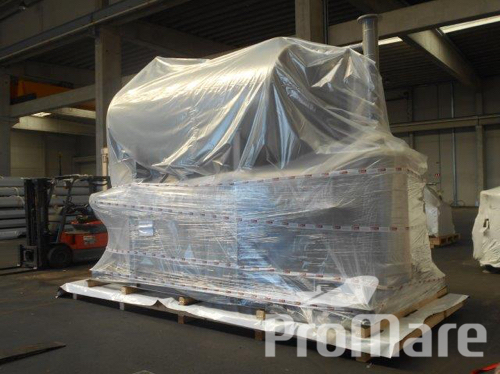 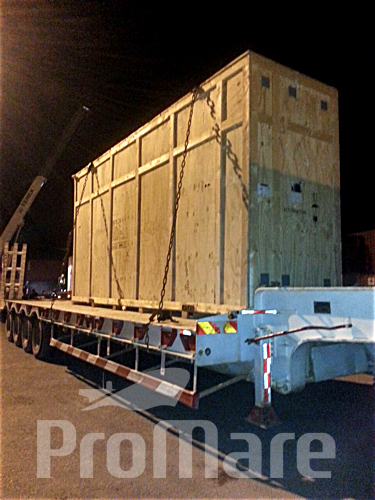 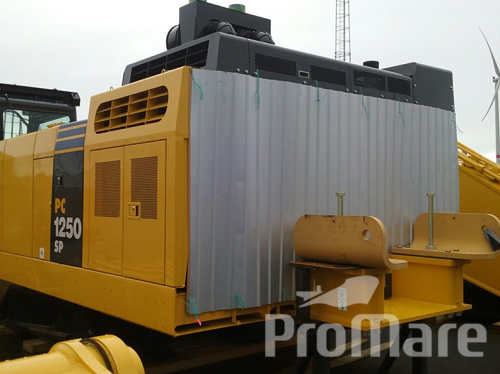 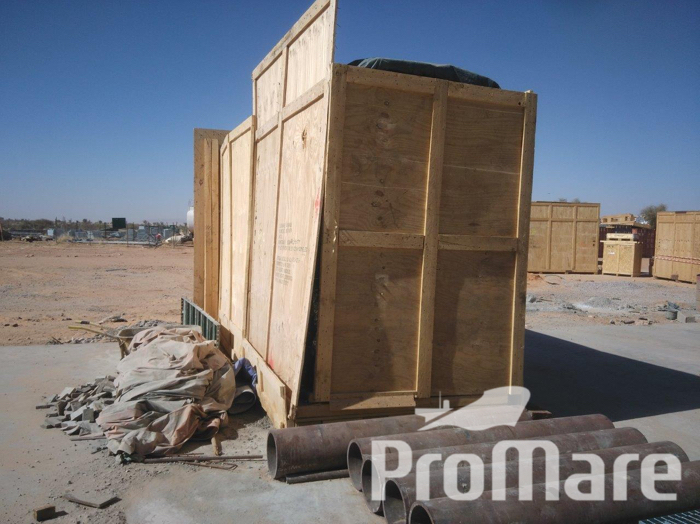 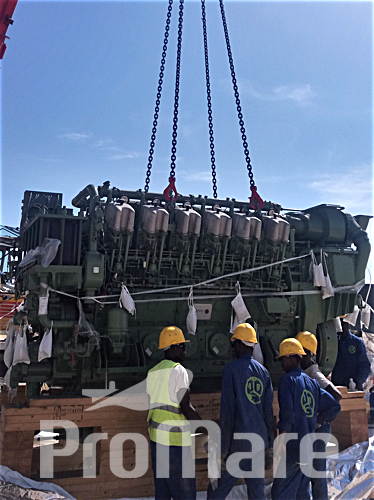 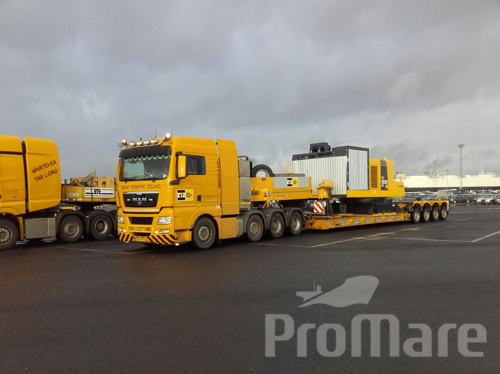 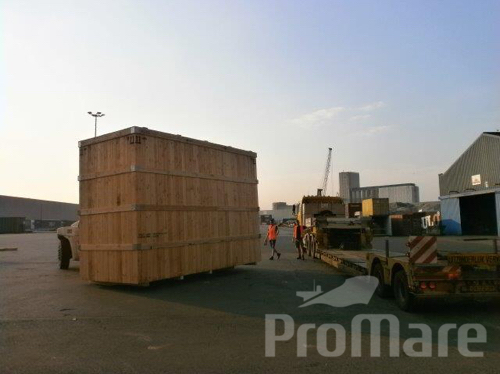 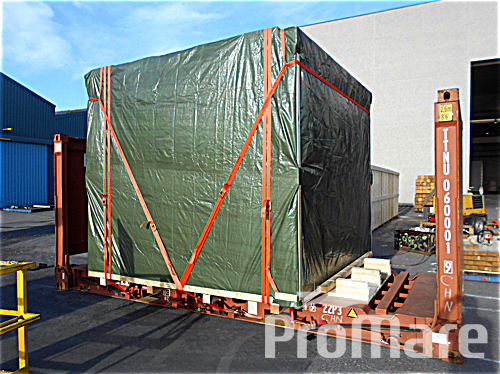 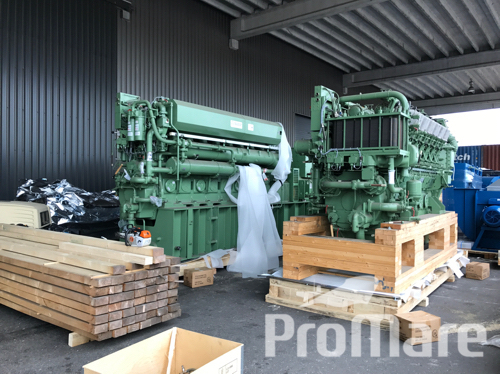 Packing & Shipment of 2 motors to Mauritania, including inland transportation to final site of Kiffa Hybride Power Station. 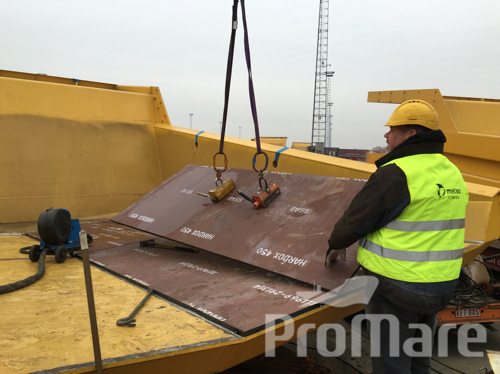 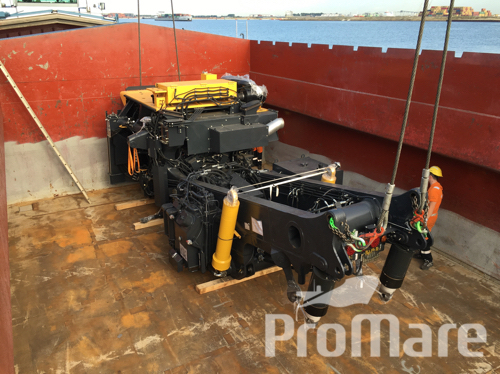 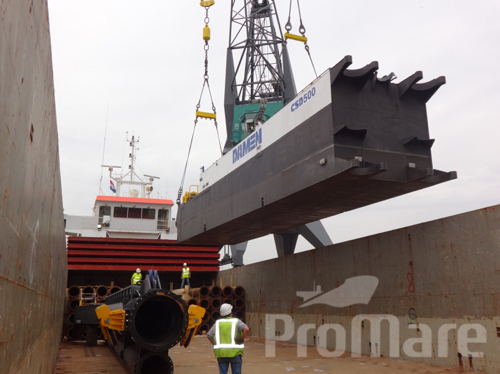 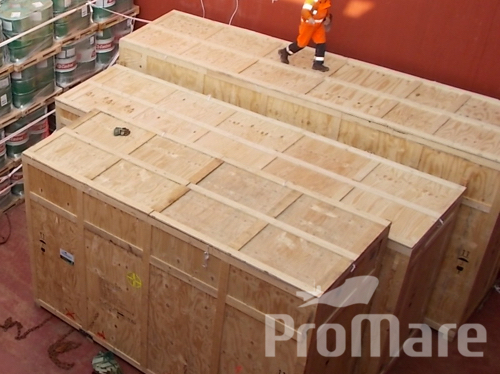 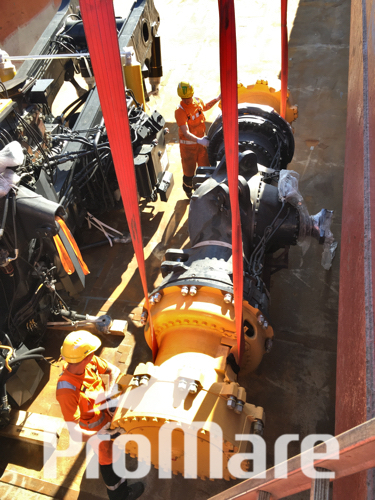 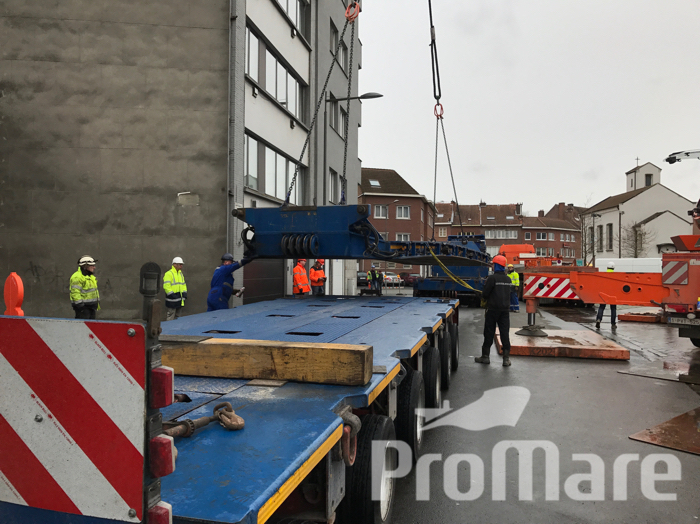 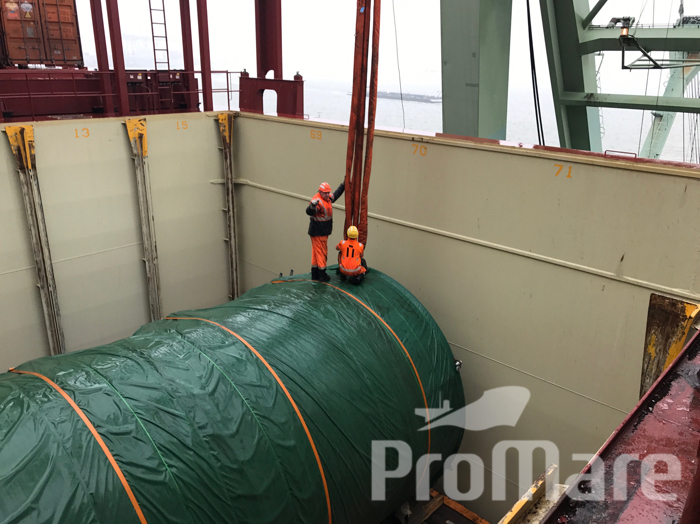 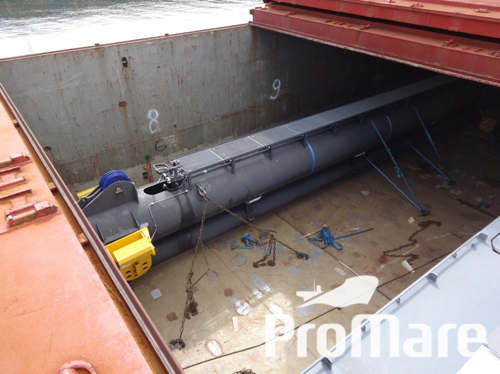 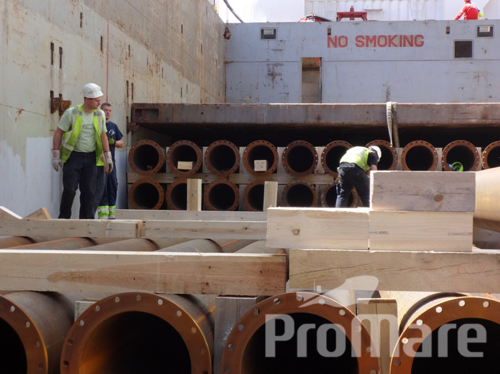 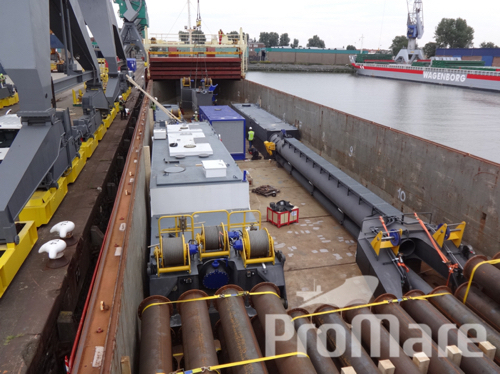 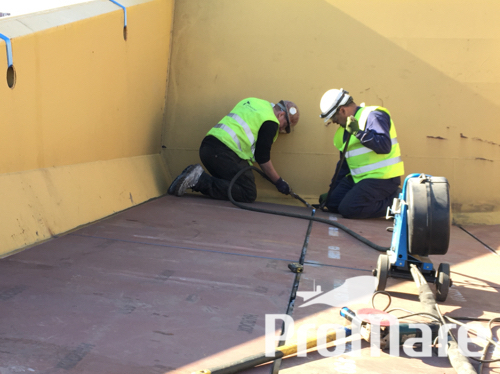 Loading, re-stuffing & shipment of a dismantled Portal Crane and an Electrical Cabinet unit to Pointe Noire.